on World Rhino Day, September 22, 2014. 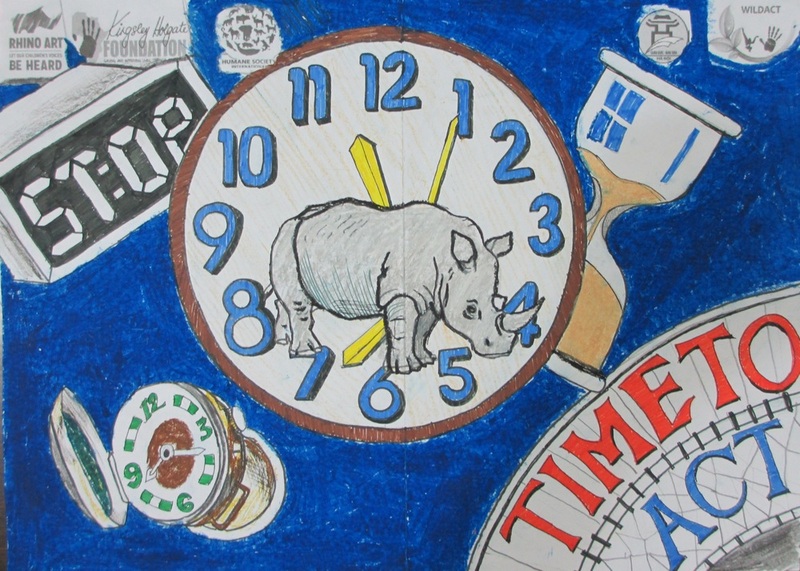 HA NOI, Viet Nam, August 10, 2014 – Six students received the top prize in the first Rhino Art Vietnam children’s art competition designed to raise awareness about rhino conservation and to reduce rhino horn consumption. 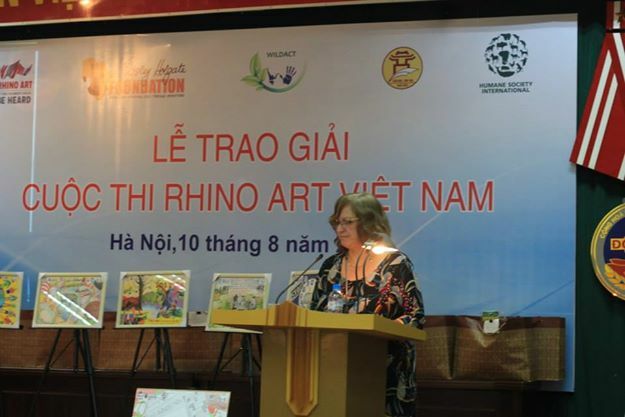 Rhino Art Vietnam was organized by WildAct Vietnam, Humane Society International, the Hanoi Education and Training Department and was co-sponsored by the Kingsley Holgate Foundation and Helping Rhinos UK. Rhinos are threatened with extinction because of poaching to supply the illegal international trade in rhino horn. Only about 28,000 rhinos of five species exist in the wild today. More than a thousand rhinos were poached in 2013 in South Africa. At this rate, scientist has predicted that rhino will be extinct by 2020. Viet Nam is the largest market for rhino horn, as many Vietnamese people believed that it will improve health, treat specific aliments, and even cure cancer although science has proven that rhino horn is not a cure for any human condition. Indeed, rhino horn is composed of keratin, the same material that makes up human fingernails and hair. 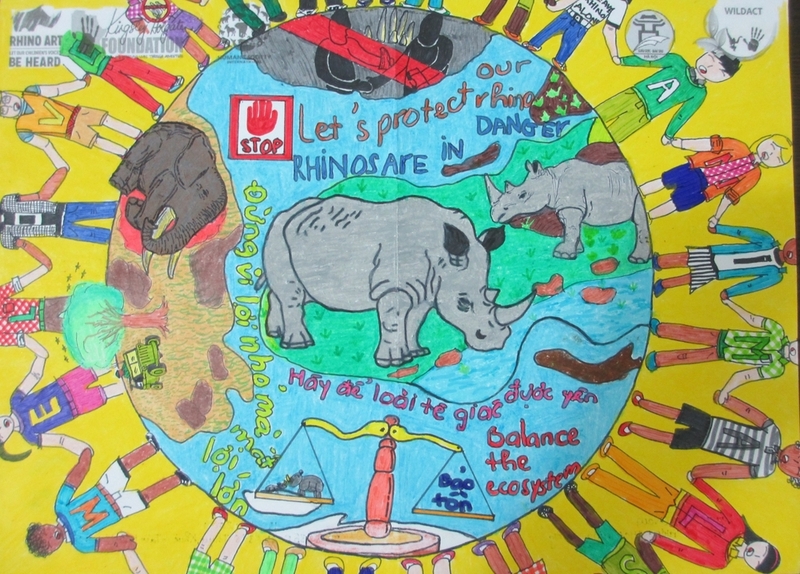 Rhino Art originated in South Africa to provide a platform for the children of Africa to share how they felt about rhino poaching. 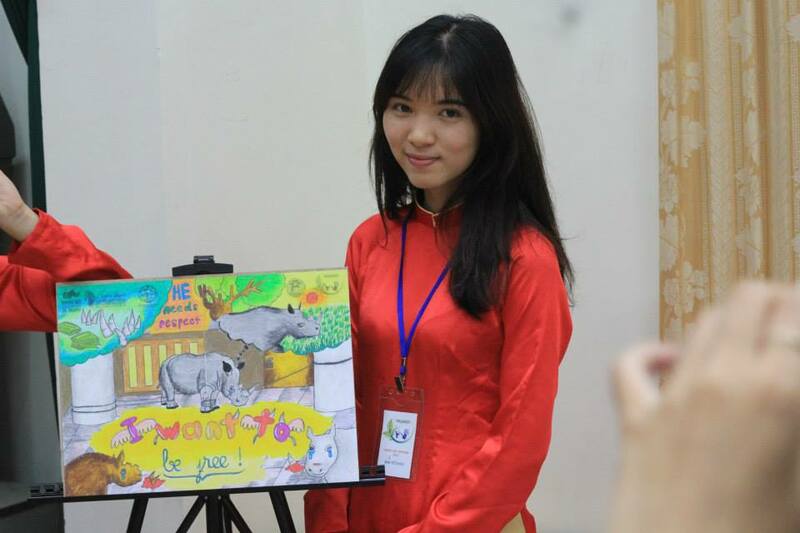 Rhino Art Vietnam was launched in May 2014. 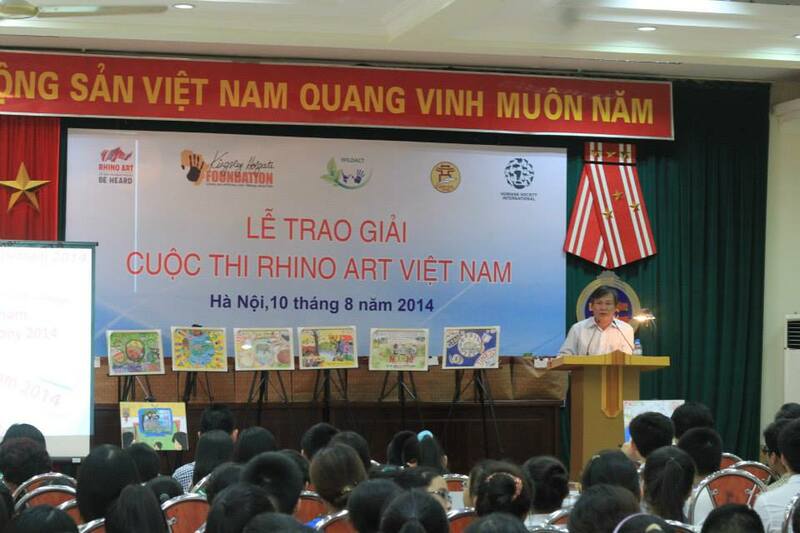 Over 4,500 students have been reached by Rhino Art Vietnam. 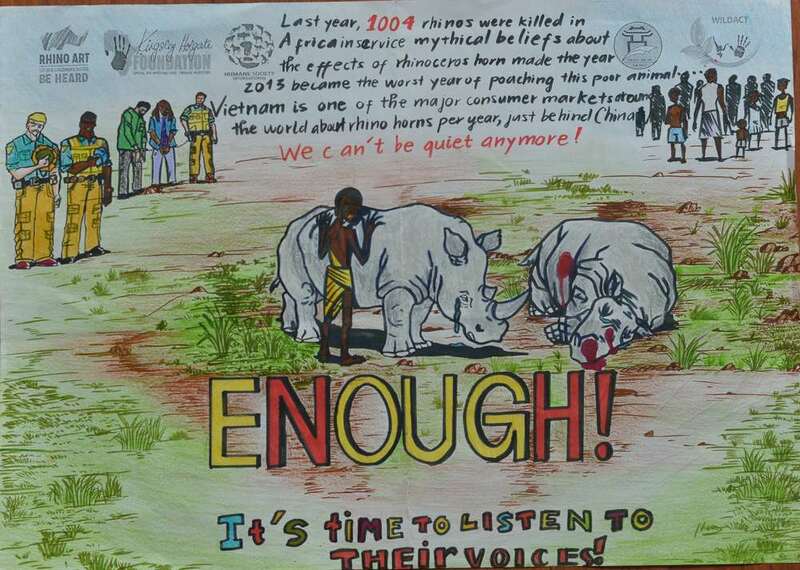 The project team visited each school to give a short talk on rhinos and the poaching crisis. They then left a Rhino Art Template for each of student to complete. The team then returned to the school to collect the entries. 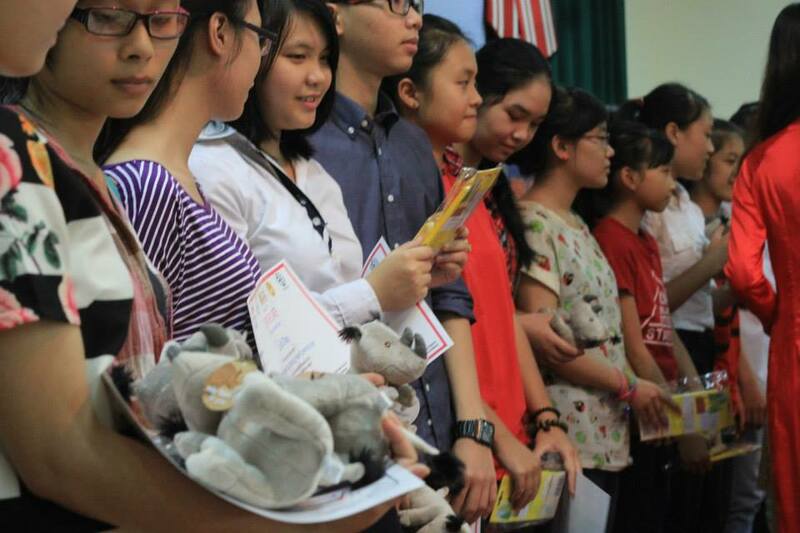 2,000 entries were received from students in twenty secondary and high schools in Vietnam. 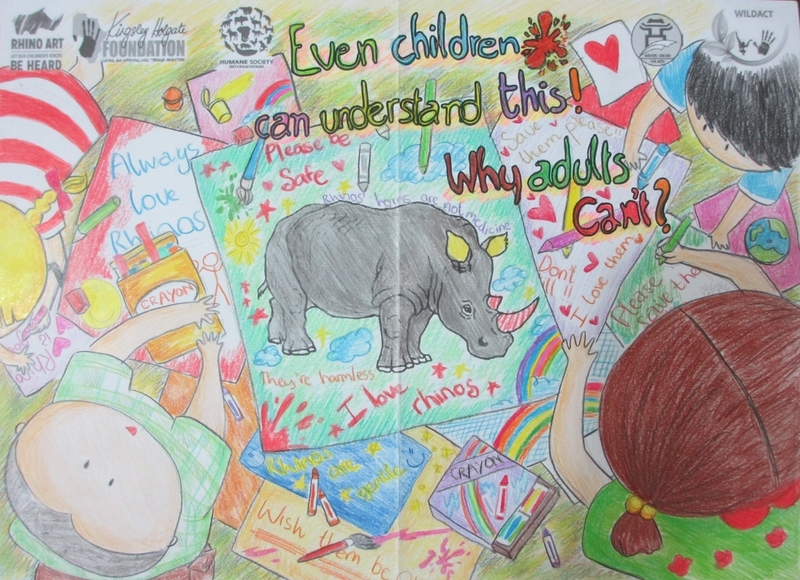 The entries were judged by WildAct Vietnam, Humane Society International, Helping Rhinos and the Hanoi Education and Training Department. The six winners will receive a chaperoned trip to South Africa to attend the first ever World Youth Rhino Summit to be held on World Rhino Day, September 22nd 2014. Nguyễn Quỳnh Trâm, 8I, Marie Curie secondary school, Hanoi. Nguyễn Hà Nhung, CT5 – 2, Cọ Xinh art school, Hanoi. Nguyễn Tuấn Nam, 7I, Trưng Vương, secondary school, Hanoi. Phạm Thành Hưng, Hà Nội Amsterdam high school, Hanoi. Bùi Thị Kiều Trinh, 12C15, Nguyễn Chí Thanh high school, Hochiminh city. Phạm Quốc Nam, 10CL, Nguyễn Du high school, Daklak.